There was approx. 71 Acres in Cultivation in 2014 that was planted in Corn. The current farmer pays the land owner $75 per acre to farm this ground. There is another 15 Acres+/- that could be put into Cultivation with a little cleaning up and a culvert put in crossing a large ditch. This place is even more special because of the Great Building Site basically in the Center of the Property which features a Very, Very Strong Flowing Artesian Well/Spring that is located at this Building site where an Old Home Place was that burnt in 1957. This is where the current owner grew up and it was a pleasure listening to him reminisce about the good ole days. He told me how they used to maintain the property and how productive the Pecan and Walnut Trees were back then. Those Pecan Trees and Walnut Trees are still here and they are Huge!! This Building Site is Very Private and would make a Marvelous Spot for an Estate type property. It is located only about 7 or 8 miles South of Jackson, TN which is the biggest city between Nashville & Memphis. 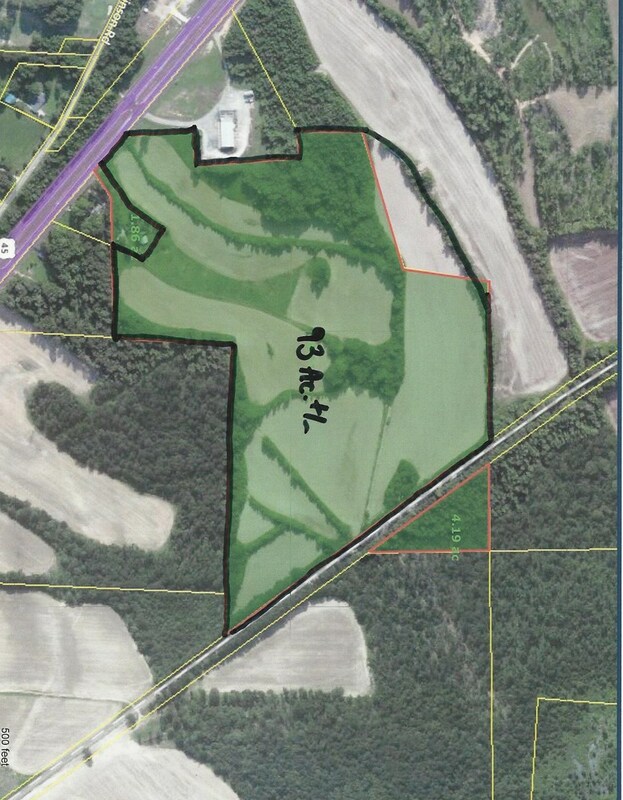 Also, the property is located only about 5 miles from a Super Wal-Mart & Lowe’s located in South Jackson. Henderson, TN is only about 6 Miles South of this property. Also, Woodland Hills Golf & Country Club is basically located just across the road from this property. If you are looking for some Farm Land then don’t hesitate to give me a call anytime. Rich in history and steeped in tradition, Henderson embraces the small-town values and volunteer spirit that make Tennessee great. Henderson is located at the intersection of US Hwy 45 and State Route 100. It is 16 miles south of Jackson and approximately 80 miles east of Memphis; Henderson began as a railroad community on the Mobile & Ohio Railroad. Once home to a bustling depot, Historic Front Street now gets more traffic from its businesses than its railways. The Chester County School System is rated as one of the best school systems in the state. Henderson also boasts as having one of the lowest crime rates anywhere. These two factors have helped Henderson become one of the most popular places to raise a family or retire. Henderson is famous for many things, including its old-fashioned barbecue. The area has a deep tradition in slow-cooked whole-hog barbecue, and it is celebrated annually during the Barbecue Festival on Court Square. With a balanced blend of retail and industry, Henderson shops line Main Street and beyond while many industries are located in or near the Industrial Park on the US Hwy. 45. Freed-Hardeman University, a four-year, Liberal Arts University, is located downtown. With approximately 2,050 students each year, FHU greatly contributes to Henderson’s economy. Chickasaw State Park is located approximately 8 miles west of Henderson. The rustic state park features walking trails, horseback riding, campgrounds and summer swimming. Rustic cabins are also available for rent. It is also only about a 2 hour drive to Nashville, TN and about 30 minutes to the Gorgeous Tennessee River.